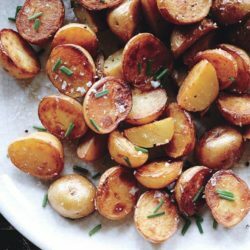 Cooking the potatoes in vinegar seasons them from within, and a final drizzle boosts the flavor. Funny name, serious—and seriously easy—dessert. 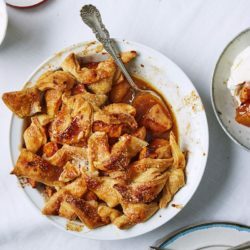 This apple pandowdy recipe is so delicious that we’re just going to have to say…cobbler: You’ve been warned. 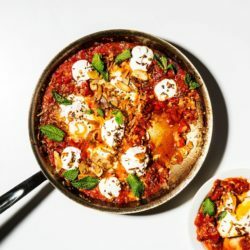 Shakshuka might just be the ultimate weeknight pantry meal. The trick is getting the eggs cooked so that the whites are set and the yolks are still jammy—starting with room temperature eggs is key, so soak them in hot water for a few minutes if they’re cold from the fridge. 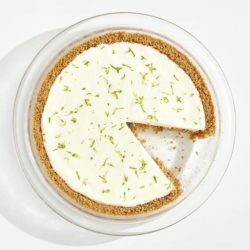 Your favorite cocktail in pie form—what’s not to love? Just keep in mind that you’ll need to freeze the pie at least 8 hours, preferably overnight, for the ideal texture, so be sure to plan ahead. Real alfredo should never (never!) 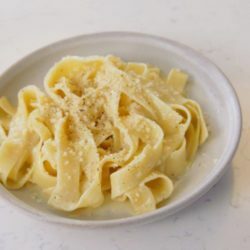 include cream; the silky sauce is the result of an emulsion between the grated cheese, melted butter, and starchy pasta water. This is part of BA’s Best, a collection of our essential recipes. We love the way that roasting intensifies the flavor of canned tomatoes. 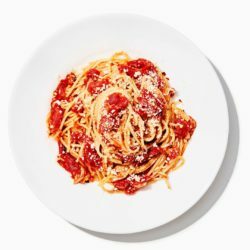 While we’re pretty obsessed with the texture of bucatini, a strand pasta with a hole running through it, this dish is every bit as delicious with spaghetti, linguine, or even rigatoni. It can get tricky to hold the bread together when making the second set of cuts. Just do your best and plop any loose pieces back into place. 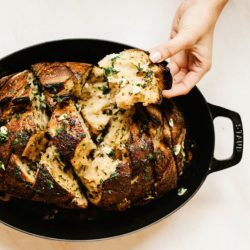 Check out more recipes from Tartine here. Does the thought of cooking fish at home freak you out? We got you. 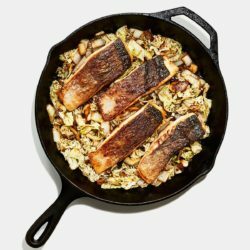 This method guarantees that the salmon comes out perfectly cooked with crispy skin. Use the same technique with any skin-on fish fillets for great results every time. 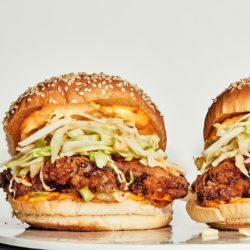 Our incredibly simple method for breading chicken thighs (no brine! no seasoned flour! no dipping!) is based on karaage, a type of Japanese fried chicken. 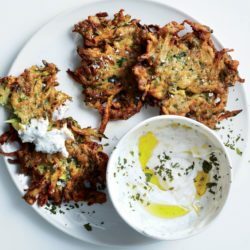 Using a high-sided vessel like a Dutch oven for frying—instead of a shallow skillet—helps to cut down on any obnoxious splatter.